I love to walk across the windy Golden Gate Bridge in San Francisco and feel the cool breeze whip my face and see the waves crashing below. In New York, I enjoy strolling across the Brooklyn Bridge. I love to feel the rumble of the traffic and gaze up at the towering cityscape. 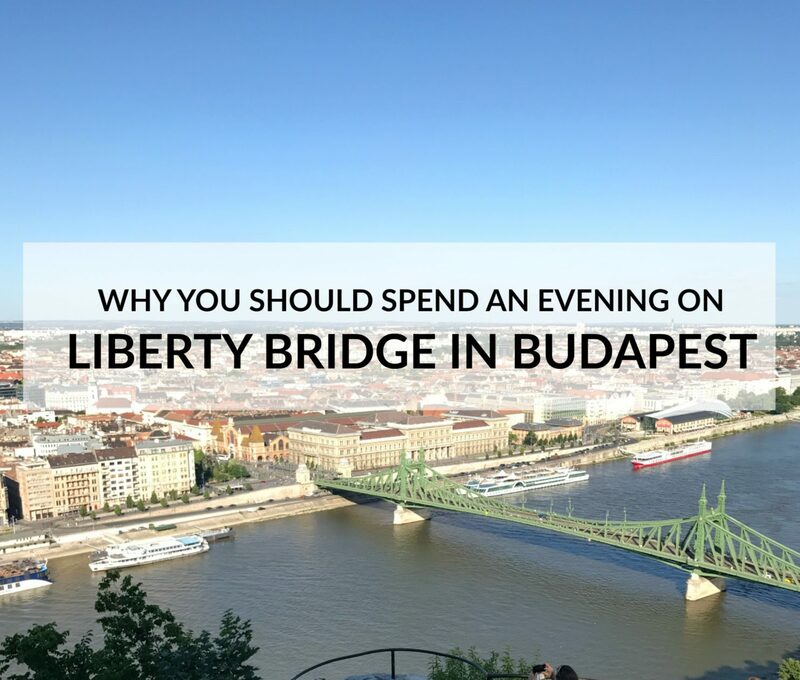 However, after visiting Hungary, one of my favorite bridges to experience is the Liberty Bridge in Budapest. 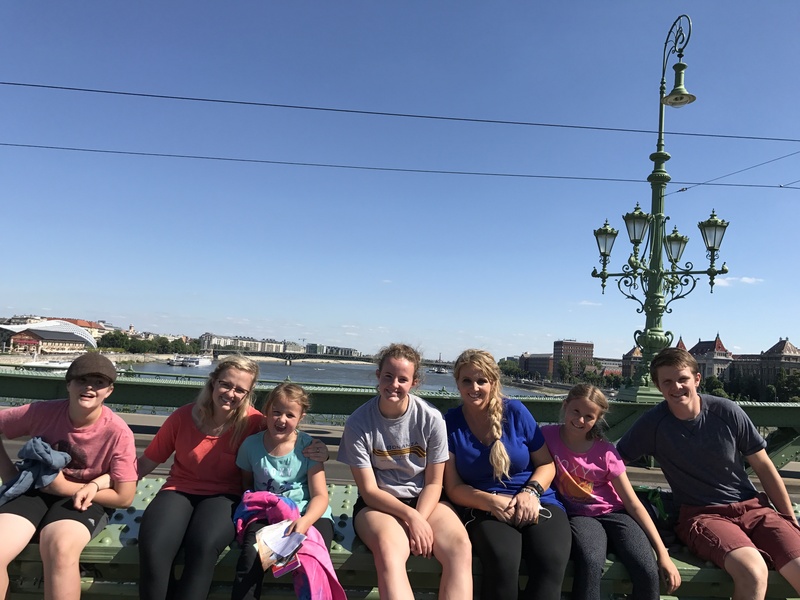 There is nothing like grabbing a seat and enjoying the commanding views of the Danube River. 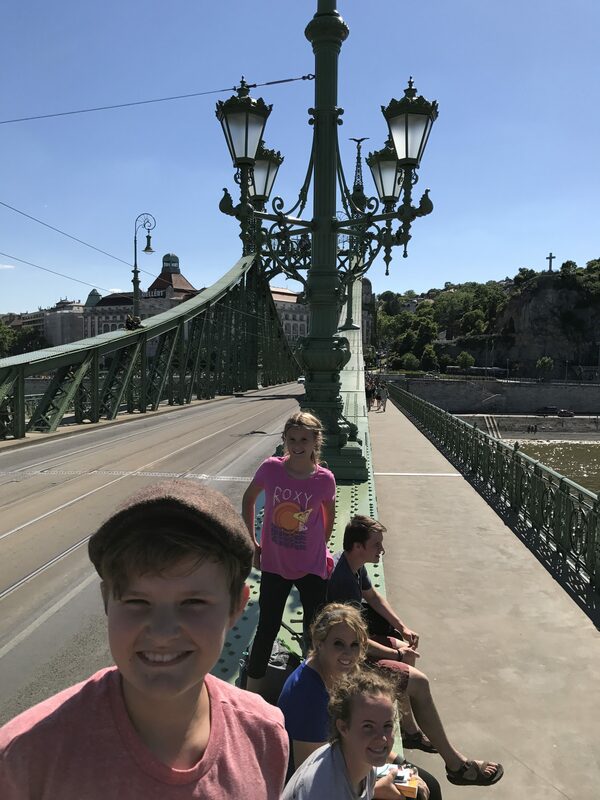 The Liberty Bridge crosses the Danube River and connects the Buda and the Pest side of the city. It was originally built by Franz Joseph in 1896. Hitler’s army partially destroyed it in WWII to stop the crossing of the Allies on the Danube. It was later rebuilt in 1946 in the traditional style that it was originally built in. On the east side, is Gellert Hill. Also nearby is the very unique Cave Church and Great Market Hall. Great Market Hall is a great place to get snacks before heading to Liberty Bridge. 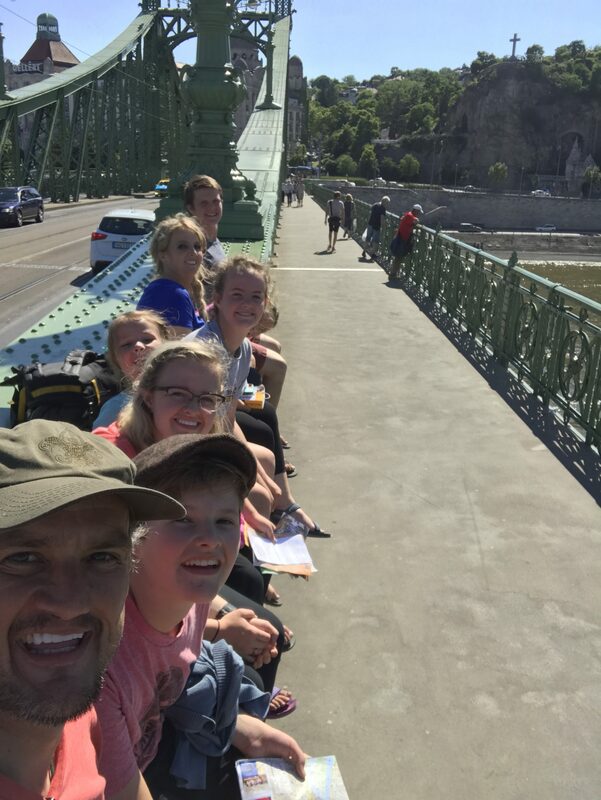 The thing that makes Liberty Bridge unique is that you can perch yourself right down on top of it and enjoy the view. At first, it was a little disconcerting. “Should we really be sitting here? On TOP of the bridge?” I asked myself. Then, I looked around and people were sitting everywhere on the bridge. Pairs of lovers and a couple of friends were all sitting on top of the bridge taking in the beautiful night. We hopped right up and enjoyed the comfortable seat and the beautiful views. It was very fun to experience a bridge in this way. We were not trying to just cross it on our way to something else. The bridge was the experience. 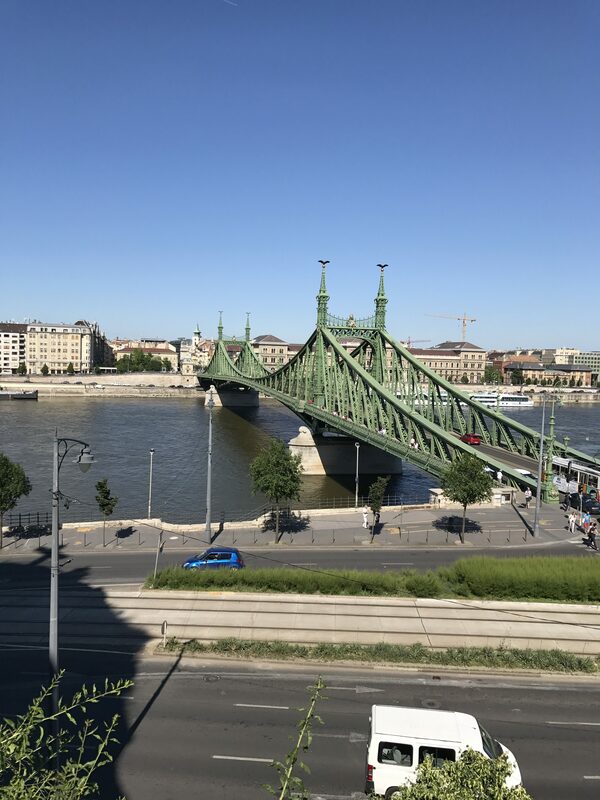 The light green metal bridge is built in the Art Nouveau style is in my opinion the most beautiful bridge in Budapest. It is beautifully illuminated at night. There are great views of the city all around. It is a great place to catch the sunset. 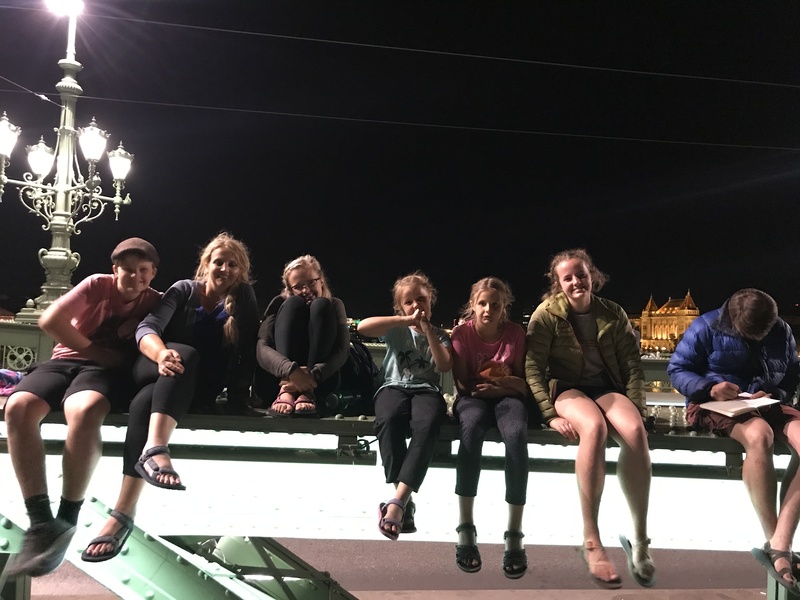 We enjoyed fireworks which started going off from somewhere in the city and the reflections of the water along with the lights from the buildings made it a magical night. This activity may not make it in anyone’s guide book. But, these are the simple pleasures of walking through a city. A bridge becomes a memory. 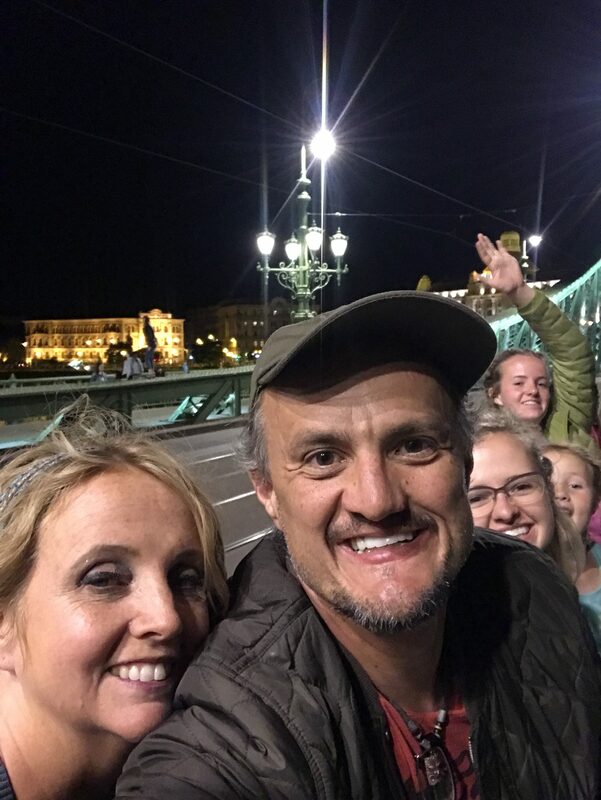 Check it out if you visit Hungary it just might become one of your favorite too.